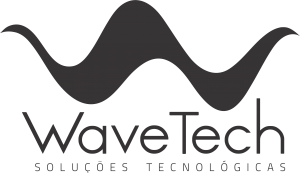 WaveTech started its activities in 2012 as a hearing instrument engineering company and was one of the technology companies chosen to be part of the Business Center for Advanced Technologies (CELTA) in Florianópolis-SC. At this stage, when WaveTech took over the management of the development of the first digital CHIP of hearing aids in Brazil, it began to interact with the Ministry of Health for some technical questions of hearing health, gathering information and increasing its perception of the market. He participates in the CB26 group of ABNT for the development of standards for the regulation of hearing aids, and has given several lectures at UFSC on hearing aids and cochlear implants. WaveTech has developed and implemented hearing aid algorithms using Open Platform Digital Signal Processors (DSPs), has also developed WaveFit speech software to configure and interact with WaveTech hearing aids. In 2013, during the event “CELTA MAC Diagnosis”, received the award from the best company CELTA Incubator in development. It was one of 14 companies selected for the SEBRAE / Nova Economia program. Also in 2013, he received a financial contribution from the state government (FAPESC) to develop the plastic injection matrix for the capsules of his hearing aids. He developed a family of more than 40 models of hearing aids with emphasis on optimizing the production line and welding processes of components (CHIP, microphones and other mechanical components). In 2014 launched and made available a free App called Woalá that reproduces the behavior of hearing aids in real time. The goal of the App is to facilitate the acceptance of the prosthesis by the hearing impaired and consolidate the company’s space as a developer of technology. As a result, it received good reviews from a specialized international magazine. Still in 2014, after being ranked in Finep’s call on assistive technologies, received funding for cochlear implant research, this research is still ongoing. Received an invitation from ABA, Brazilian Association of Audiology to teach lectures at the EIA-2014, International Meeting of Audiology. In 2015 and 2016, it focused its efforts on meeting the requirements of Portaria 2531/14 MS, seeking to realize the Brazilian industry of digital hearing aids with national technology, through LAFERGS and for the benefit of SUS. In 2017 WaveTech received the CNI award from the 22 most innovative companies in Brazil. In 2018 it received again the Prize of the best company incubated in CELTA in phase of implantation. It currently develops a new version for its software and algorithms and focuses its efforts on finalizing its production line.